Implementation of the SAP Design guidelines for the pChart color palette. I was a big fan of good old findstr until I spend around 2 hours on build issues after I did a massive find and replace on our source depot. Consider you have a simple text document like this. Assume everything in your sources are always in Windows 1252 character set. For source files one may not think about encoding too much, however it’s important. If you save the sources in 8 bit encoding (Windows 1252) or in UTF 8, findstr will not have issues finding the string you are searching for (as long as it’s in Windows 1252 encoding). However if you save the sources in Unicode encoding (Codepage 1200) or Unicode Big Endian encoding (Codepage 1201), then findstr will not find the files. file1 - utf8.txt:∩╗┐This is an example. file1 - utf8.txt:ï»¿This is an example. file1 - utf8.txt:?This is an example. 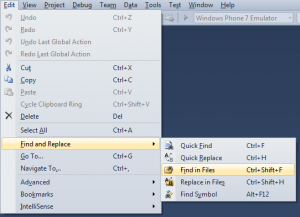 From the Edit -> Find and Replace menu, select Find in Files. To configure which path you want to search click on […] button. 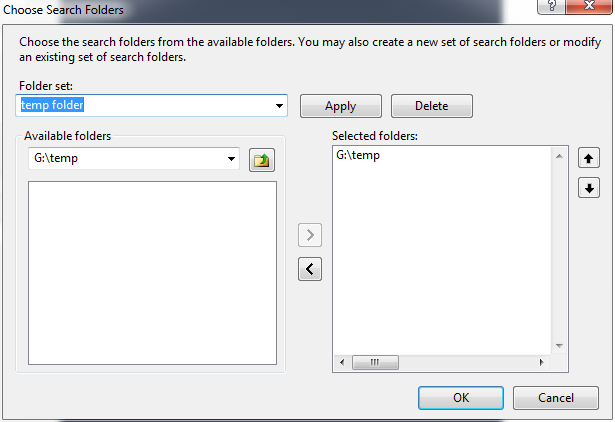 Navigate to the top level folder you want to search and using the chevrons add it to the selected folders. The results show up on the Find Results pane. Get-ChildItem -recurse -include * | Select-String -CaseSensitive "example"
What is an XML Namespace? Most developers are familiar with the concept of namespaces in programming languages such as C#, Java, and other popular object oriented languages. The concept of Namespaces in programming languages and XML are more or less likely the same. The namespace in programming languages define the set for a group of classes. Each class, defined in a namespace will live in that namespace and can directly interact with other classes that are in the same namespace domain. If a class needs to interact with another class living in another namespace domain, it needs to know about that domain in order to have any interaction. We can think of classes (or identifiers) as cities in the world, and namespaces as states/countries. When we refer the City Vernon, we might be referring to any Vernon from: BC Canada, Ont. Canada, France, Alabama, California, Connecticut, Florida, Illinois, Indiana, Michigan, New Jersey, New York, Ohio, Texas, Utah. Namespaces gives us the capability of using the same name on different domain under same scope. As two cities in the same state or country would make confusions, two classes (or identifiers) would make the same problem in a domain (namespace) therefore a class name should be unique in a namespace. The reason of why XML Namespaces exist is the same. We may define a tag name that has different meaning in different contexts. For example address of a person, which would contain street address and other physical location properties, has completely different meaning and structure than address of a computer, which would be a URL or an IP. If we want to have both person addresses and computer addresses in same XML structure, then the only way to distinguish these addresses would be namespaces. Following example is an XML document that has two addresses, one of them is a person’s address the other is a computer address. Here the namespace prefix ps and pc has the scope inside list element. The namespace prefix ps is associated with http://tempuri.org/person.xsd and prefix pc associated with http://tempuri.org/computer.xsd. Each element name that has these prefixes is bound to the corresponding namespace. It is possible to re-declare the default namespace under each address element?s scope and define the binding accordingly. The choice of prefixes instead of namespace declarations is completely up on the developer: do whichever makes the XML document more readable. The namespace of an element is declared by the attribute name xmlns, and the value of the attribute should be a valid URI. This URI actually is just a naming convention for that namespace, it doesn?t necessarily point to an actual resource. Two namespaces are considered to be the same if the character by character string comparisons of URIs are the same. In this example, the list element is not bound to any namespace. The first address element is bound to http://tempuri.org/person.xsd the other is bound to http://tempuri.org/computer.xsd namespace. Notice that the namespace for the first address is declared at the address element and all of the descendant nodes of address will have the declared namespace. Therefore, it is not necessary to explicitly declare the namespaces at each descendant node. One example where namespace declarations will be useful is when we are collecting XML data from different sources. One example might be data from a Biztalk server and combined with other data from an ERP server. When we try to merge the data, the elements from these resources might conflict. Separating the elements by namespace declarations would ease queries against the merged document, and prohibits any conflicts. If a namespace is set with no namespace prefix, then the default namespace is set. For example the default namespace is not declared on list element on Figure 2, but it declared as http://tempuri.org/person.xsd at the first address, and declared as http://tempuri.org/computer.xsd at the second address. These changes are only in effect on the scope of each address. The element postCode in the following example is not part of default namespace http://tempuri.org/address.xsd applied to address. We can redeclare or undeclare a namespace. In order to declare a namespace, change the bound namespace URI to another URI. If the target URI is an empty string, that is un-declaration. Both default namespaces and namespaces associated with a prefix can be redeclared. However, undeclaring a namespace prefix is not allowed. In this example, default namespace is bound to http://ns1, and namespace prefix ps is associated with http://foo. At the first address element’s scope the default namespace is redeclared to http://bar. At the second address, the default namespace is undeclared. At the third address we see an error, the namespace prefix ps is being tried to undeclared, this will lead to a runtime error. At the last address, ps is redeclared to http://bar. In order to uniquely identify a name in Xml, the pair: name of the element and the namespace of the element are used. Two elements with the same name and bound to the same namespace are considered to be identical. In this example, the elements that have the value of 1, 3 and 4 have identical names. Identity of an element depends on the namespace that the element is in. In this XML document the address and postCode is bound to http://tempuri.org/list.xsd, but the attribute type is bound to empty namespace. In this XML document the address, postCode and attribute type is bound to http://tempuri.org/person.xsd, as all of them are prefixed. In this XML document the address and postCode is bound to http://tempuri.org/person.xsd, but the attribute type is bound to empty namespace. In the syntax of the language. XSLT recognizes its instructions by their namespace. All instructions should have “http://www.w3.org/1999/XSL/Transform” namespace. Names of internal XSLT objects (templates, modes, attribute sets, keys, decimal-formats, variables and parameters) are also qualified names. If they have a prefix then the prefix is expanded into URI using standard NS resolving rules. The default namespace is not used for unprefixed names. In the XPath expressions to query nodes from source document. The default namespace is not used any for unprefixed names in XPath expressions. In the names of constructed elements. In contradiction, the default namespace is used for unprefixed names there. n1 and n2 should be defined in context of xsl:variable, but namespace prefix q in both samples is not required to be defined to any resource. my:att is not XSLT attribute and its context is not expected to be a valid qualified name. As XPath queries needs to get information about namespaces, we need to provide the namespace information to XPath. As we also mentioned in the default namespace rules section, we should transfer the namespace of the item that we are selecting. Querying the XML Document for a element name using XPath, where namespaces exist. The source XML document in this example has a default namespace http://default. We will query one of its nodes to create an element in our XSLT query. To do this, we need to pass the appropriate namespace to the XPath query that will select the correct item. The steps to define the element name we are going to use in our xsl:element declaration is: resolve any namespaces and prefixes, run the XPath query, get the result string and create the element name. In order to query against elements with namespaces, we have to pass the namespace context to XPath query, therefore we are binding the prefix default to http://default, and using this prefix for querying the document with /default:elements/default:block. When the XPath query returns with a string (in our case it is blockValue1) where we will use it as the element name, we are binding the element name to namespace http://foo with foo prefix. The XPath language can be used outside XSLT to select nodes in the documents which support IXPathNavigable interface. .NET Framework provides three such documents: XmlDocument, XPathDocument and XmlDataDocument. In addition to executing XPATH expressions with help of XPathNavigator XmlDocument offers a simplified API for selecting nodes. In both samples we executed an XPath expression that does not have namespaces. If ethe lements in your document belong to some namespace you would need to specify the namespace of the element in your expression. For example to query block element from the previous example, XPath expression may be //ns:elements/ns:block where the prefix ns is bound to the namespace http://default. In the case of XSLT, the XPath engine uses the namespace context of the element where the expression is written to resolve prefixes to namespaces. Since C# is not an XML-derived language and doesn’t have the concept of XML namespaces, the context must be passed to the XPath engine explicitly with the query. In the example above, we are specifying the namespaces for each prefix we are creating. Prefixes used in the XPath expression (person) do not need to be the same as used in the source document (ps). The first question everybody asks is when looking on example above is “Why this is so complex?”. All namespaces you may want to use in your XPath query may already present in the source document and bound to some prefixes. Why not allow to using this prefixes in the expression automaticaly? When source document redefines default namespace, no prefix exist in source document to address this new namespace, therefore elements in this namespace would be unreachable by XPath. Another side of complexity is in API as well. XmlNamespaceManager provides no functionality that is not required for XPath engine that complicates writing custom XmlNamespaceManagers. Select() and SelectNodes() don?t accept XmlNamespaceManager directly and require you to compile XPath string before use. .NET Framework 2.0 adds additional interfaces and method overloads to simplify XPath usage. In the next sections we describe these improvements as well as provide samples and code snippets to make XPath usage easier. Namespace context for XPath queries in .NET Framework 2. IXmlNamespaceResolver. It also adds several new method overloads to XPathNavigator that accept IXmlNamespaceResolver as an argument. Quering XPath became easier but you still need the way to create something that implements the IXmlNamespaceResolver interface. XmlNamespaceManager does this, so you can use code from the previous sample to create and fill a namespace manager. More interesting is that XPathNavigator implements IXmlNamespaceResolver by itself. It will resolve prefixes to namespaces in context of XML node it is positioned on. So consider that we know that all namespaces are defined on the topmost node of a source document. We now can use an XPathNavigator positioned on this node as a namespace resolver for our queries. Please note that we have to call the MoveToFirstChild() method because the real root node in the document is not a topmost node — we see in the text that the only prefix defined on the root node is “xml” itself. Consider an environment that we have an XML document and transformations over it, where we control all of the prefix definitions, and there are no redefinitions of prefixes anywhere on the document. We can use the following example if we don?t want to update our prefix-namespace bindings in our code if the resource strings of namespaces in XML document change, and prefixes stay the same. Previous sample will be helpful for the documents when all prefixes used in the query are defined on the topmost element. It’s possible, but not common, that prefixes will be defined and redefined on other elements of the document. To simplify selecting nodes in such documents we decided to write helper class DocumentNsResolver that implements IXmlNamespaceResolver that collects the namespace prefix couples by visiting all namespace declarations in the document. The same prefix can be bound to different namespaces in the different places in the same document. 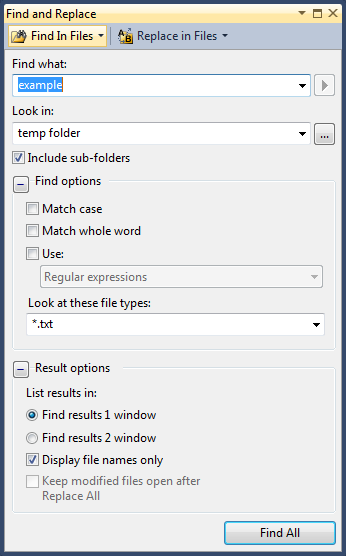 – In the DocumentNsResolver the first definition wins but DocumentNsResolver.RedefinedPrefixes property allows you to check for this condition. Construction requires DocumentNsResolver to do an entire tree traversal and may be time consuming. – this is not that expensive, because the document is already cached anyway. Create it once and use it for multiple queries. 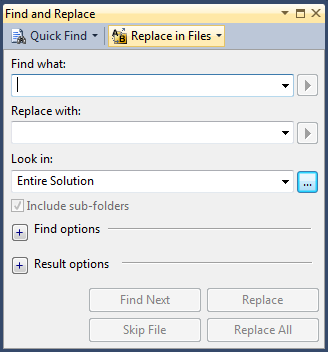 Default namespace doesn?t have a prefix “by default”. – The DocumentNsResolver.DefaultPrefix property can be used to set a prefix name that can be used to bind to the default namespace. By default, this property set to the string “default-prefix”. 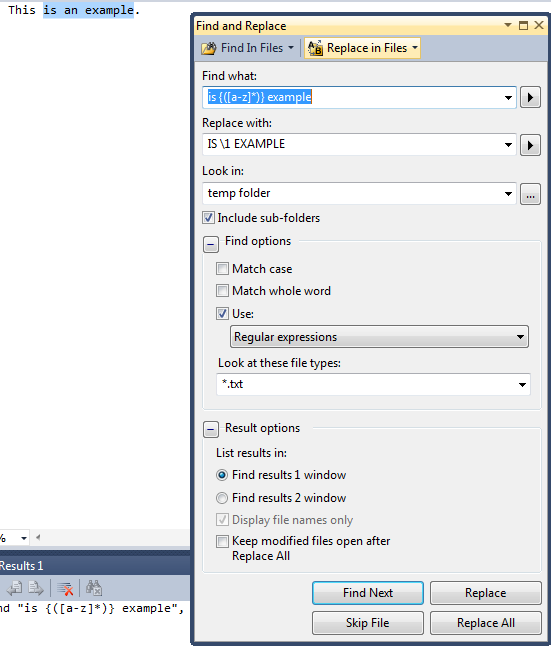 Here is an example how DocumentNsResolver can be used for creating namespace context. With the introduction of .NET 2.0, we introduced XPathNavigator. To provide similar functionality over XmlDocument, we are introducing the XmlNamespaceManager helper class that you can find at Appendix 2. XmlNamespaceManager simplifies XPath queries over XmlDocument, utilizes the new class XPathNavigator, and offers better performance than XmlDocument.Select().XmlDocument does not accept IXmlNamespaceResolver for resolving prefixes. XmlDocument.SelectNodes() function requires passing a XmlNamespaceManager for prefix to namespace resolution. DocumentNsManager extends XmlNamespaceManager and contains DocumentNsResolver as prefix-namespace resolver. The following sample shows how to use DocumentNsManager to pass namespace context to SelectNodes() method. XPath expressions always work against a context. A context consists of a context node (a node in XML Document); context position and size; a set of variable bindings that is a mapping of variable names to variable values; a function library that is a mapping from a function name to functions, and the set of namespaces that is a mapping of namespace prefixes to actual namespaces. Therefore we need to provide this information to XPath for it to work correctly. The following query uses the XMLDocument.SelectNodes() method to query the XmlDocument. Notice that we are creating an XmlNamespaceManager from the NameTable of the document, and adding the namespaces that we would like to use in our XPath query with the prefixes that we will use in our queries. By passing the XmlNamespaceManager we created to the XPath query, we are setting the namespaces context of XPath. We are passing the node to the XPath query by x.SelectNodes. So the two crucial attributes of context (the context node and namespaces) are set, the rest are left as default. This example will use the Person.xml file in Figure 8. The namespace bindings works exactly as we mentioned in Namespaces section: list is bound to the default namespace, address and postCode is bound to person, type is bound to empty namespace. XmlDocument.SelectNodes() can be mimicked with using XPathNavigator, which will perform better. The following example can be used instead of XmlDocument.SelectNodes(). In this sample, the Select() function accepts two XmlNodes, the first one is for specifying where the select operation will be done, the second one is for specifying the context of namespaces. On our XML example, as the ps prefix is defined on the the list element that is the document element, we are passing it. The most common place to define prefix tags would be the document element, passing the document element would be okay for majority of the XML files that we work with. In this section we would like to give some widely accepted examples that are used for selecting nodes with namespaces. If we would like to select all nodes regardless of the namespaces or prefixes they are bound to we could use the following query. In this example *[local-name() = ‘block’] will match all elements regardless of their namespaces, whose local name (element?s name) is equal to block. In the above example, if we change the match part of the template with *[localname()=’block’ and namespace-uri()=’http://bar’], the output will be the following. In this example we are matching will match all elements with name block and at namespace http://bar. Also if we are in control of the XML document, and we would like to stick with prefixes, we can use *[name()=’bl:block’] at the match parameter of the template. However, this would not be very stable, as the prefix and or the binding of the prefix could change over time. Namespaces in XML is a W3C standard for providing uniquely named elements and attributes in an XML instance. A Namespace is used to distinguish elements bound to different contexts. The namespace declarations on XML Namespaces are a URI which is just a virtual identifier for that namespace that does not need to map to an actual resource. We may redeclare namespaces to different resources in our document, however we cannot undeclare prefixes. The attributes of elements are not bound to any namespace unless prefixed. Identity of an element depends on the namespace that the element is in, and the name of the element. Namespaces affect XSLT in three ways: the syntax of the XSLT depends on the namespaces; the XPath expressions in XSLT needs a context to run against the source, but XPath queries are not affected from the default namespace; lastly, the names of constructed elements does depend on the default namespace. XPath can be used with XmlDocument and IXPathNavigator. In these cases, XPath requires a context to associate namespaces that the elements and attributes are bound to. This could be done by setting the context of XPathExpression, assigning a namespace resolver either to XPathNavigator?s select method or XmlDocument?s SelectNodes method. Finally we talked about some common workarounds for selecting nodes in XPath. We hope that this document helped you to visualize practical the usage of namespaces over XSLT and XPath. You may always read more about these topics in the W3C?s Recommendation and documents at Microsoft?s web sites. //XPath never asks for the prefix of a Namespace.